The trial of the four operators of The Pirate Bay starts tomorrow. I read online that approximately 80% of global internet traffic is directly linked to bittorrent distribution. The Pirate Bay estimates they carry 50% of all bittorrent traffic. Thus, The Pirate Bay is directly related to 40% of global internet traffic. How insane is that? Regardless of which side of the fence you fall on with this issue, I think most can agree that this is a pretty important trial. 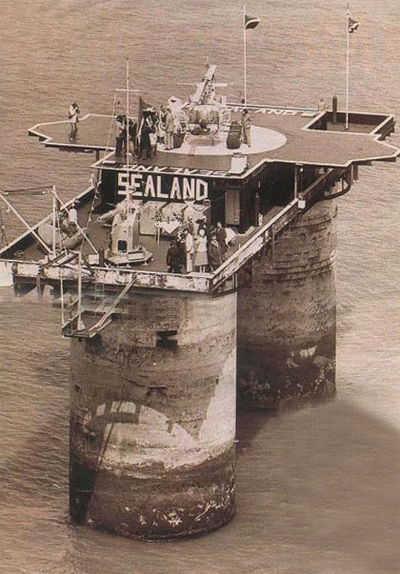 sidenote: While researching this on the web, I learned The Pirate Bay tried to purchase Sealand when it went up for sale a few years ago. Kind of interesting. Yeah however since that fell through and after the latest raid they went distributed mulitiple server copies across the globe. this way even if they get taken down in again or loose the court case they will be able to be back up and running quickly.. I had heard that - very interesting. Apparently they don't even know where the servers are located. I don't think Pirate Bay will be around much longer (regardless of the outcome of the case - which as you pointed out doesn't really matter anyway). In my opinion it is just a matter of time before something else comes along to replaces the entire system all together. That just seems the nature of the beast.